Rachael Jones, 38, talks about the challenges of living with a rare skeletal disorder called X-Linked Hypophosphatemia (XLH), how it has affected her family, and her excitement about the recent FDA approval (April 2018) of Crysvita® (burosumab-twza) a new treatment for XLH that is about to become available to patients. Guest Bio: Rachael Jones is the Secretary of The XLH Network, Inc. Rachael was diagnosed at birth with X-Linked Hypophosphatemia (XLH), her two children also have the condition. 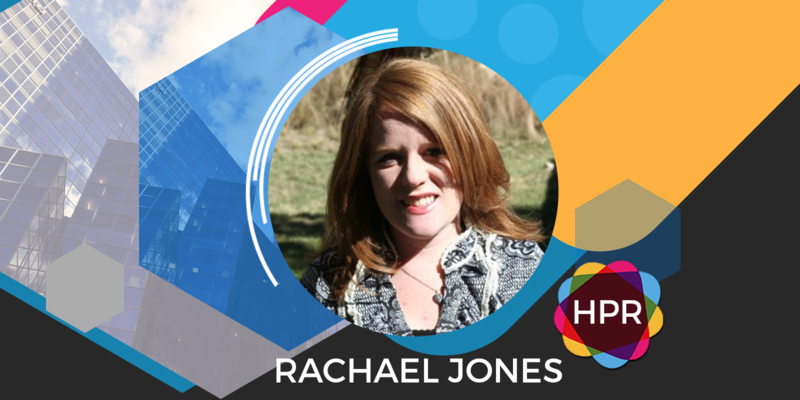 Rachael was a school administrator and teacher for several years before moving to Colorado, where she works as an office administrator and a curriculum writer. Rachael enjoys writing and someday hopes to become a children’s author. here on the program today. We’ve been talking on Health Professional Radio about a rare disease called XLH (X-linked Hypophosphatemia) and today our guest is a very special guest, she’s a patient living with XLH. Her name is Rachel Jones and she’s joining us here to talk about her diagnosis and how this condition has affected her life and the lives of her family and also talk about the recent FDA approval of Crysvita®. Thank you so much for joining us today Rachel, how are you? Rachel Jones: I’m doing well, thank you. Neal: Good. Besides being diagnosed at birth with XLH, give us a bit of background about Yourself. What are you doing, where do you do it? Rachel: Well I’m actually in a textbook writer and editor and also an administrator. I was an education for many years so that’s a little background on me. I live in Colorado with my family. Neal: XLH, it’s a mouthful to say that’s why we call it XLH – X-linked Hypophosphatemia a very rare skeletal disorder and it is genetic I do believe? Neal: And you were diagnosed at birth.I know people are affected, diagnosed as children and then they manage it throughout their adult life. But you were diagnosed at birth, how did that come about? Rachel: Well my mother was actually the first one in her family to be diagnosed and she was not diagnosed early and because very little was known about it at the time in the 50s when she was born and so because they knew it was hereditary, knew she had it, they knew that she gave the person a chance of passing it onto her children so she passed it onto my brother and then I was born second so they kind of knew there was a pretty good chance that I would have it as well so they were able to diagnose me fairly quickly with a blood test. Neal: How did that affect your management of the disease later on in life being diagnosed so early as opposed to how it affected your mom? Rachel: I believe that it really helped to have an understanding right away of exactly what was going on and to be able to get me on treatment and my brother on treatment as well sooner than later, I know that definitely helped a lot in terms of just being able to follow me medically and to be able to give me better treatment than what my mom had available to her at the time. Neal: Sometimes there can be a stigma attached dealing with a disease, especially a rare disease, people don’t understand, maybe you don’t understand yourself. Was there anything that you and your brother had to face as children? Rachel: Yeah. My brother and I had very different in terms of the symptoms that we had as a result of XLH. So my brother had several surgeries, so that really from the time he was a year old all the way through high school, he had to deal with multiple surgeries. For me, I didn’t have as when I was younger, I didn’t have as severe symptoms and so I didn’t start having surgeries until I was in high school but I did because it does cause shorter stature, of course everyone knew there was something that was different about me and I know as a child growing up probably all the way into my young adulthood, I really tried to never talk about it and never wanted anyone to know that there was something different about me. I fought really hard to have a normal life and to not stand out even though I knew I did physically stand out. But it was when I had my children and they were both diagnosed, that’s when I said “Okay, I can’t pretend that I don’t have a condition.” I need to learn as much as possible so that I can be an advocate for them and to also just be an example to them as how to live and be different and to embrace that and to just live life to the fullest even in the midst of having to deal with a rare condition. Neal: What about support for such a rare disease as XLH? We are bringing awareness here on the program, we spoke with a physician yesterday as a matter of fact about XLH and Crysvita®. Where are your thoughts on the support that’s out there or the support that is becoming more available to folks like yourself? Rachel: I’m very excited about the future in terms of the support that is now available. I know when I was growing up there was very little known and so often, my mom had to educate doctors on my condition and get as much information to them. But it wasn’t readily accessible like it is now when I found out that my children were diagnosed, I was able to actually find a lot of information online and especially with the XLH Network incorporated. I was able to find other people who had XLH because I was told that it was so rare, there were very few people out there and I found out that there were more than I thought and so that has been a great resource and then just following the news and the FDA approval of Crysvita®, we’re very excited for the possibility of getting my children on that and my myself just to see how that completely changes our outlook on just the future of having this condition. Neal: Now Crysvita®, I understand is administered subcutaneously as opposed to orally. Rachel: Yes. For my children and for adults, it’s controversial as to whether or not the traditional medication is actually helpful and so I took it when I was pregnant and during those years but I haven’t been on anything at this point just because there’s just not clear direction but my children yes, from the time they were diagnosed which has helped and so they have to do that several times a day so this will be a completely different change for them. Neal: In wrapping up, what are three key takeaways that you’d like our audience to take within? Rachel: I would say for anyone living with a rare disorder, it’s important to be your own advocate to find out as much information as you can because it’s important to be able to go into a doctor’s office and to say “Okay here’s what I know, let’s come up with a plan together.” And also to know that there is support out there especially my personal situation is XLH and I’ve been able to find great support through the XLH Network and that is great because you don’t have to walk through it alone. And the third thing would just be to embrace it, probably as hard as whatever diagnosis someone may have, it’s to embrace it, to find out information, be your own advocate and just see how it can make you stronger in life because I do feel like my diagnosis has made me stronger and has made me be able to handle different trials in life probably better than I would have if I hadn’t had this going on in my life. Neal: Well it has certainly been a pleasure I appreciate you coming in and talking with us today Rachel. Rachel: Thank you, it’s great.